Pulse Solutions builds yet another custom project management system to streamline a very specific business need. 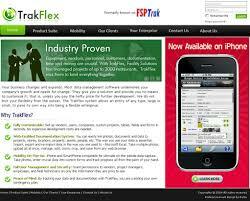 The software has been constructed using PHP 5 and MySQL 5, completely open source and easy to manage. Extensive usage of AJAX and DHTML makes the interface is as fast as a desktop application, users love the creative and intuitive design. No off the shelf product can claim to even come close to the scalability, usability and integration capabilities this program offers. Contact us for your custom business automation software and see it taking shape quickly and within budget.